There is no room for hate speech on the Internet, and we need your help to make sure of it. Being careful about what kind of expressions you use you can support the thousands of people affected by online hate speech, and you can act to make the internet a more welcoming and more favorable environment for all. This game promotes the use of positive expressions to replace those that incite hatred. The player's task is to make balloons with positive messages explode with the help of the positive messenger bird. For each positive message balloon, points will be awarded as a reward. If by mistake balloons with hate-inducing messages explode, points will be subtracted from the already obtained score. 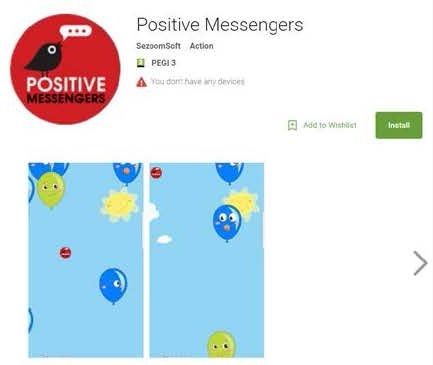 You can find the game on GoogleApps, called Positive Messengers, the Balloon Games section. The game was created within the Positive Messages Coalition project with the financial support of the European Union's Rights, Equality and Citizenship (REC) Program. Content is the exclusive responsibility of the Diverse Association and does not reflect the views of the European Commission in any way.